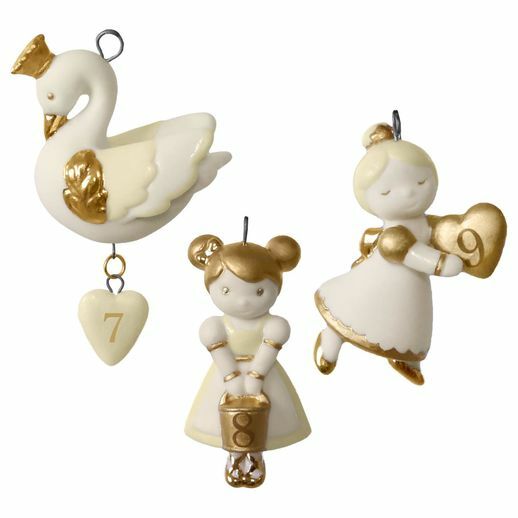 This ornament set complements others in the 12 Little Days of Christmas collection (sold separately). Collect all four to create a festive holiday display. Porcelain. Miniature ornaments.